Gee, fences actually work. Who knew? When the mass influx of Muslim migrants and refugees reached a crisis level earlier this summer, the nation of Hungary set about constructing a fence to secure their border. Though they were heavily criticized for it and constantly told that a fence wouldn’t work to keep out illegal immigrants, they have now proven otherwise — and have provided an example to other nations. The razor-wire adorned border fence, which cuts off Hungary from neighboring Serbia and Croatia, has reduced the number of illegal immigrants entering the country down to pre-crisis levels and has been hailed as a resounding success. 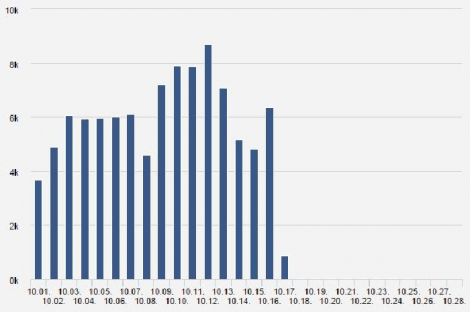 The number of illegal immigrants entering the country has fallen so low that it has not even registered on this government chart since Oct. 17. Dr. Gyorgy Bakondi, chief adviser for homeland security to the prime minister, detailed the success of the fence recently by showing that illegal incursions into the country have fallen from nearly 10,000 migrants per day last month to “significantly small numbers” of roughly a dozen per day, according to Hungarian media reports cited by Breitbart. The fence is part of a broader package being called a “triple defense” of “border policing” that includes the fence, police and troops to back it up, and strong laws to back up their enforcement of the fence. 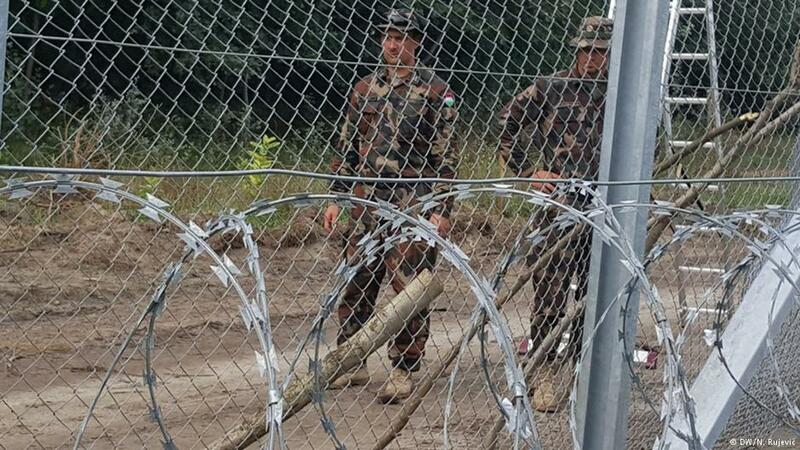 Now other European nations are looking closely at what Hungary has done, including Austria, which initially criticized the fence idea but is now contemplating building its own on the border with neighboring Slovenia. Australian Prime Minister Tony Abbott, who has mocked European leaders for having no control over their borders, agrees that strong policing and “turn backs” of illegal immigrants can work wonders, as it has done for his own nation. “All countries that say ‘anyone who gets here can stay here’ are now in peril, given the scale of the population movements that are starting to be seen,” Abbott declared at the Second Annual Margaret Thatcher Gala dinner in London. “There are tens, perhaps hundreds, of millions of people living in poverty and danger who might readily seek to enter a Western country if the opportunity is there. Who could blame them?” he continued.